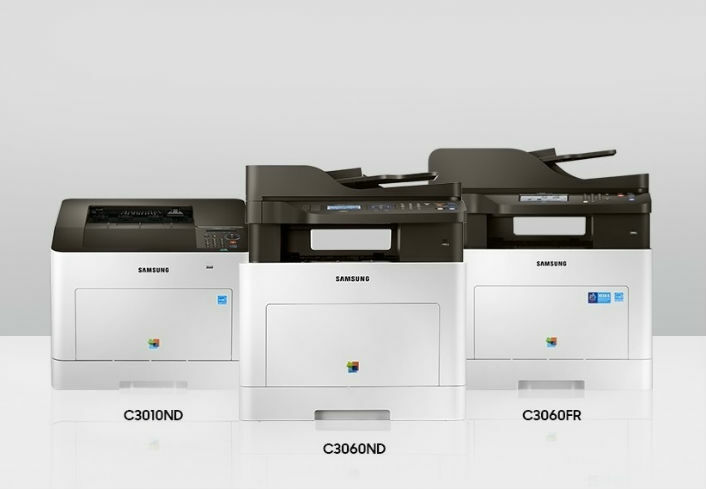 Today Samsung Electronics announced they are launching their new ProXpress C30 series multi-function printers (MFPs) that they claim offer lower operating costs and higher productivity. The new printers series are optimized for small- and medium-sized company users, especially in business sectors such as professional services and retail, where printing quality and usability at low operation costs are prioritized. The series includes three models: the C3010ND, C3060ND and C3060FR. A key feature of the C30 series is its high-quality graphics with resolutions of 9,600 x 600 dots per inch and it also supports Samsung’s Rendering engine for Clean Pages (ReCP) technology. Using the C30 series, businesses should be able to greatly reduce the total cost of ownership of their printers as the C30 series provides high-yield toner cartridges that can handle heavy printing volumes. The operation cost can be further reduced thanks to Samsung’s Instant Fusing System technology, which provides shorter wait times, faster prints and copies, and helps lower energy consumption. In comparison to the prior series, the C30’s overall features have been improved in several ways. Printing speed has increased from 26 ppm to 30 ppm, toner yield to 8K/5K and paper capacity to 1,400 sheets. Processing power has also increased with an 800 MHz dual CPU processor, that Samsung claims should be up to 50 percent faster than the previous models.